Winter brings fewer hours of sunlight and more cloudy days. So, is it safe to put the sunscreen bottle away until next summer? That’s an easy one. The answer is no. All too often, we associate sunscreen with the hot, intense days of summertime. But, in reality, the harmful rays of the sun can find their way to our skin no matter what season we’re in — and even when we’re indoors, believe it or not. Let’s take a deeper dive into the topic. Ever wondered how sunscreen actually works? Well, it depends on the type of sun protection you choose. There are two forms of sunscreen — chemical and physical. Chemical sunscreen works by absorbing the sun’s rays, much like a sponge would absorb water. If you’re using this type of sunscreen, you’ll likely find that it’s easier to rub in and doesn’t leave behind a visible residue. On the other hand, physical sunscreens work by sitting on the skin’s surface and deflecting rays. These are better options for those who have sensitive skin but are also more visible on the skin. Both types of sunscreens have been identified by the Food & Drug Administration as effective. Think that because the sky’s cloudy you’re safe from the sun’s rays? Think again. The Skin Cancer Foundation estimates that up to 80 percent of the sun’s harmful rays can penetrate through clouds. That’s why you’ll sometimes see people end up with a sunburn even on days where there’s really no visible sun. And there are other considerations as well. While it’s rare that we end up with much snow in east Tennessee and north Georgia, snow can increase your risk of sunburn. Accumulated snow can reflect up to 80 percent of the sun’s UV rays, which increases your exposure to them. Returning to that point we mentioned earlier — you can even get a sunburn inside. If you’re sitting near a car window or the windows of your home or office, you should know that the glass only filters out one type of UV radiation, UVB rays. UVA rays, which penetrate more deeply into the skin, still penetrate through the window, making it possible to get sun exposure sitting indoors. Now do you see why sunscreen is important even in the winter? OK, so now you know that you need to wear sunscreen. But do you know how to do that the right way? Choose the right sunscreen. We talked about the basic types above. Regardless of which form you choose, select one that’s labeled as broad-spectrum (meaning it protects against both UVA and UVB rays) and an SPF of at least 30. Apply enough. What’s enough? Well, you’ll want to apply sunscreen to all areas of exposed skin, including your face, neck, chest, and hands. Don’t forget about your ears. In general, it takes an ounce of sunscreen to cover the majority of the body, so judge accordingly when applying to smaller amounts of skin. Remember the lips. Did you know that skin cancer can also form on the lips? Protect them by using a lip balm that contains sunscreen with an SPF of 30 or higher. Reapply if outdoors. If you’re going to be outdoors for any length of time, even in the cold days of winter, reapply sunscreen at least every two hours. Toss it out. You should be replacing your sunscreen regularly, because it loses effectiveness after a certain time period. Sunscreen should retain its strength for three years after the manufacture date. But when in doubt, toss it out and grab a fresh bottle. Consider a lotion with sunscreen. 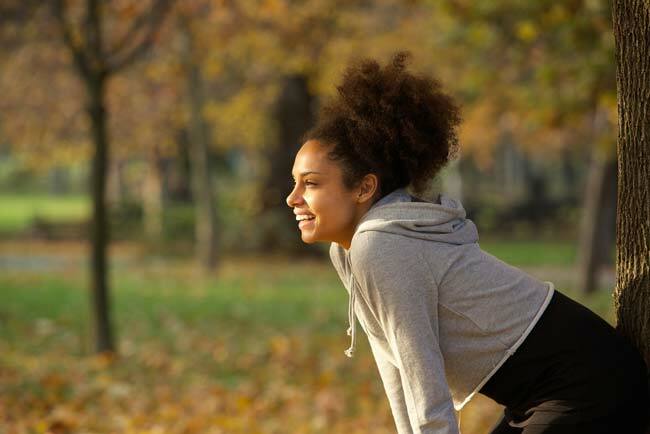 In the colder months, you don’t necessarily need a hefty duty SPF or formula. Find a daily moisturizer for your body and one for your face that contains sunscreen — you’ll be more likely to apply it. 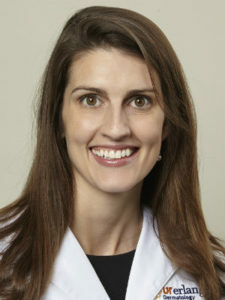 Dr. Laura Cleary is a board-certified dermatologist at Erlanger Dermatology located at Erlanger East Hospital. Checking your own skin frequently can help find many skin cancers early. Need a doctor’s opinion? Book an appointment with Dr. Cleary by calling Erlanger Dermatology at 423-778-5693.